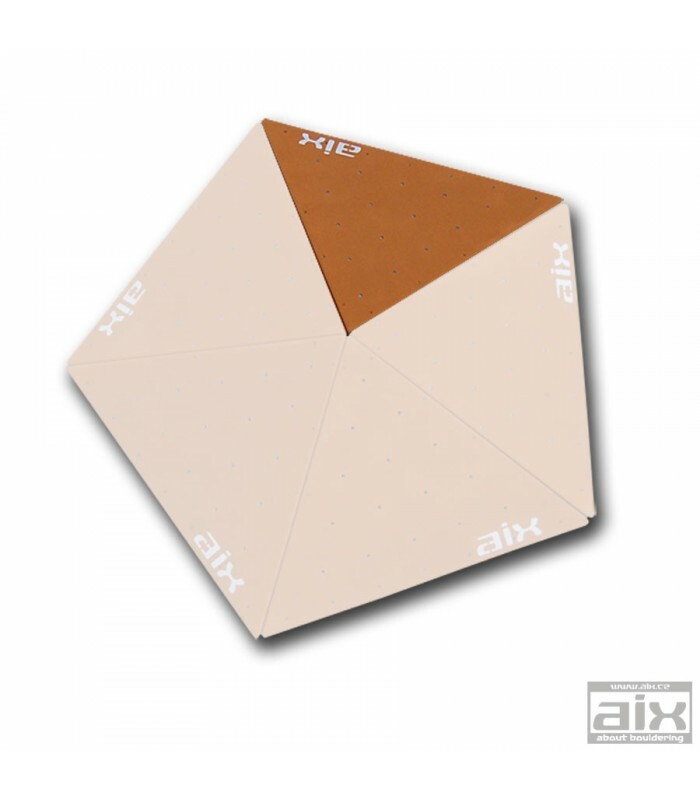 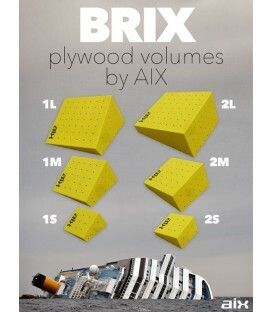 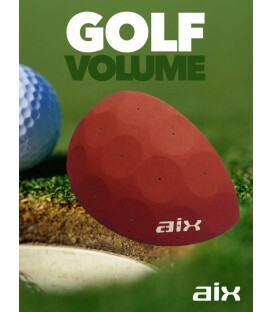 Large size plywood volume with sand textured coating. 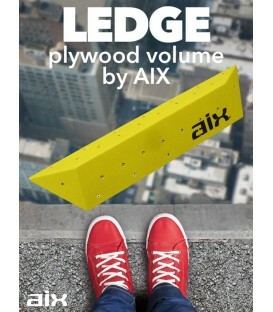 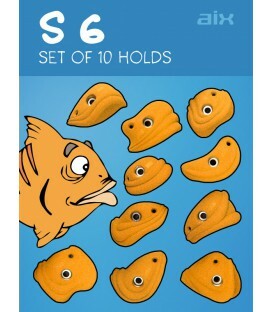 Two, three, four or five these volumes fit tighly together. 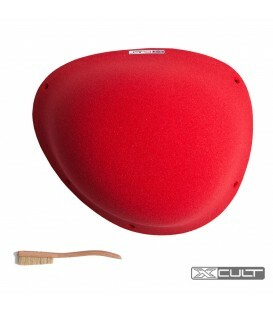 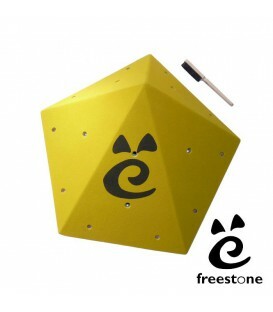 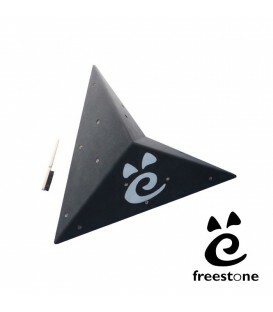 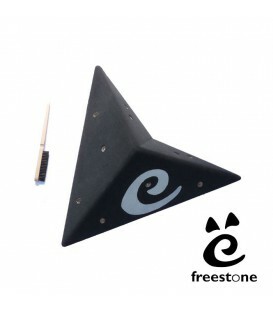 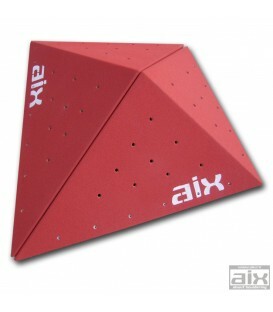 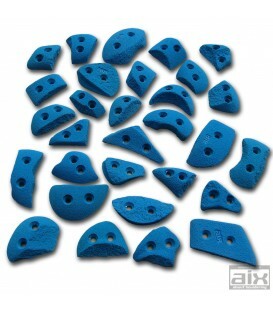 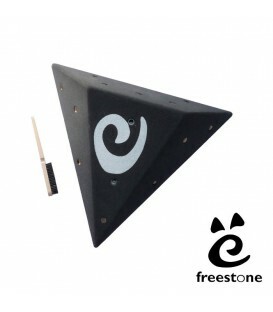 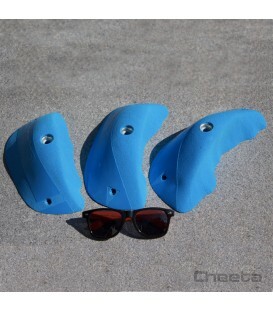 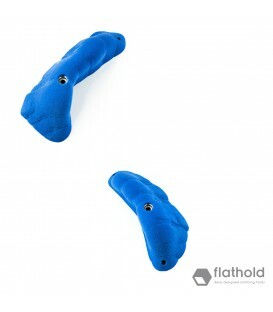 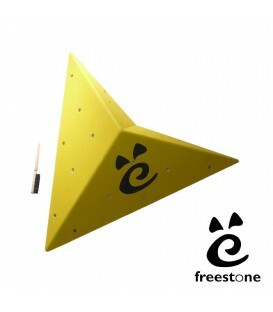 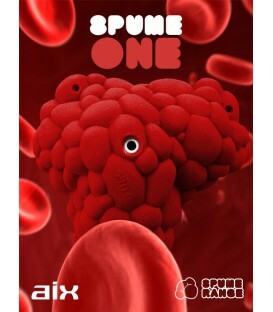 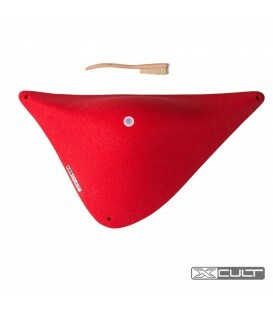 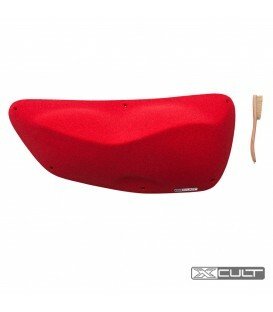 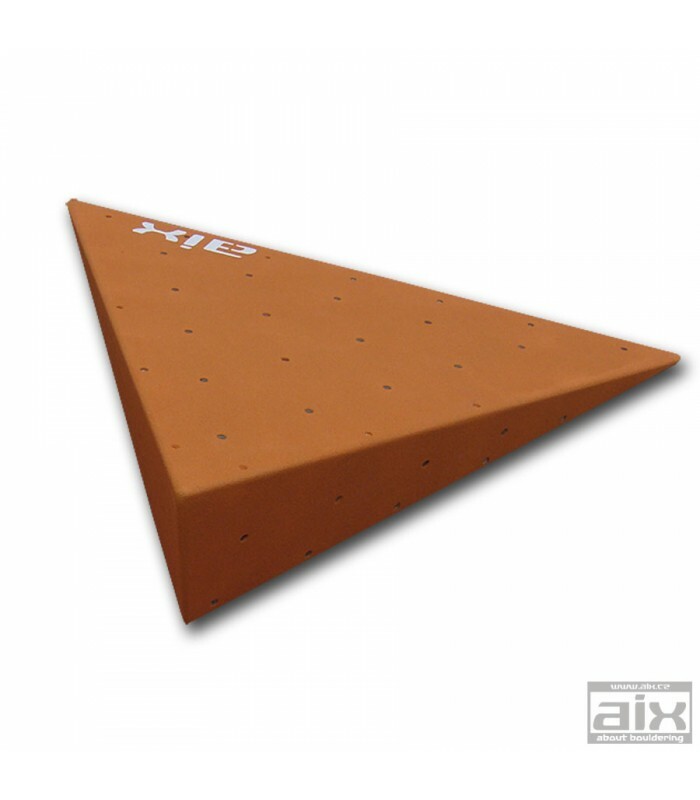 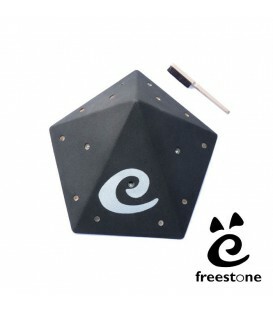 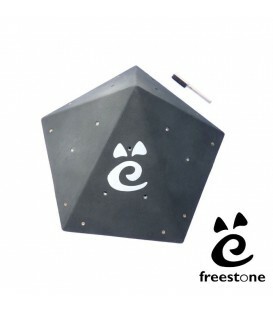 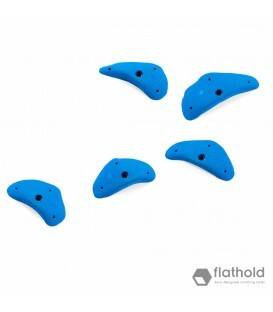 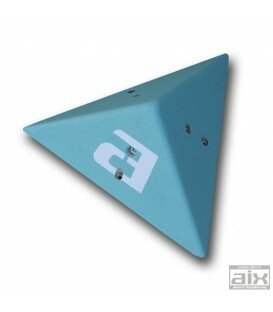 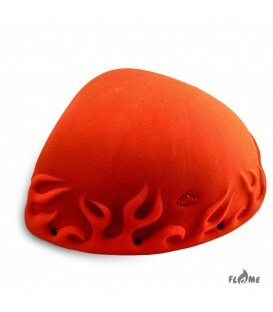 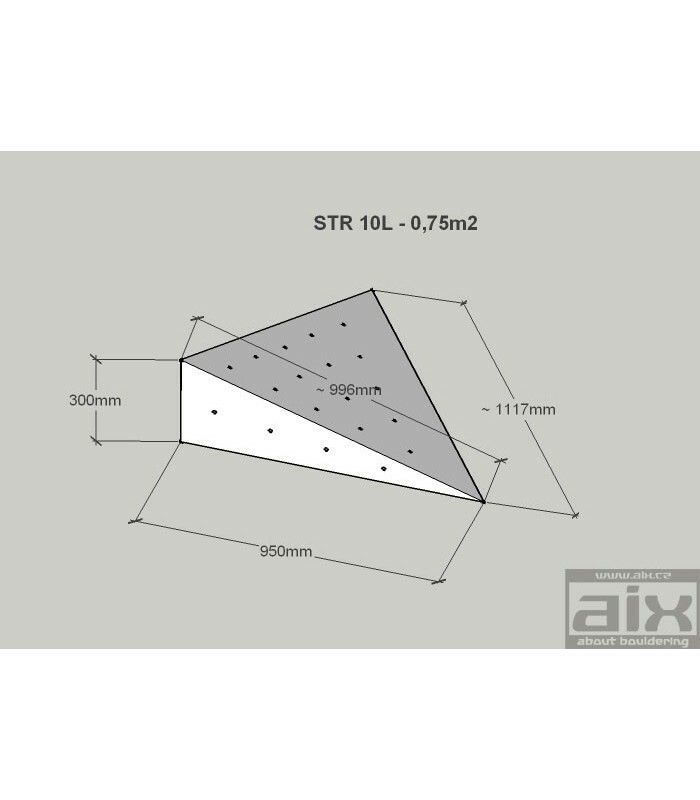 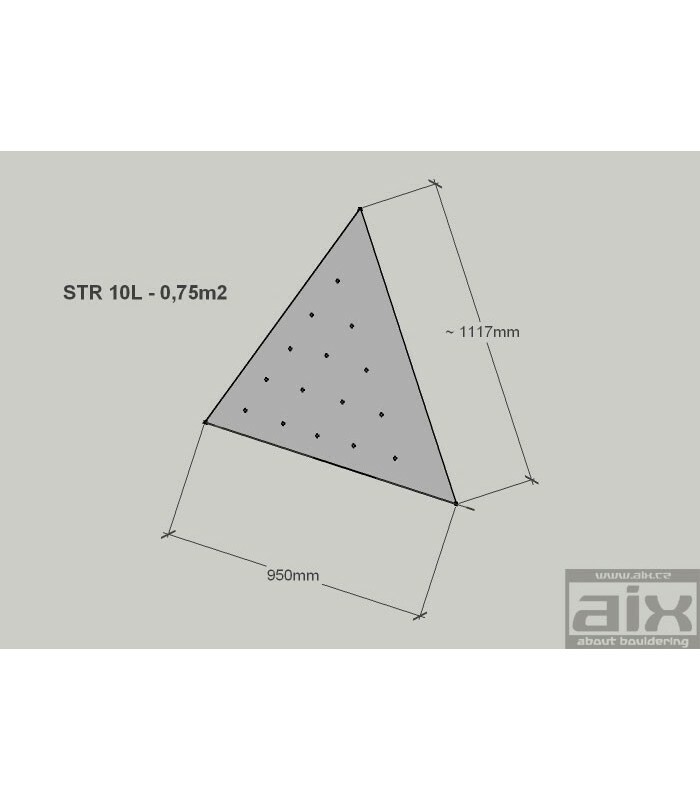 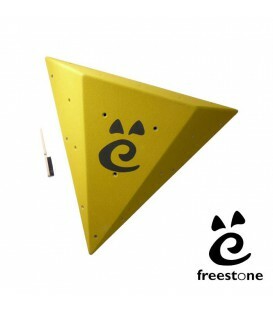 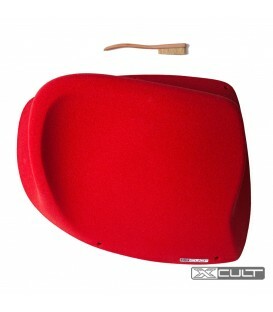 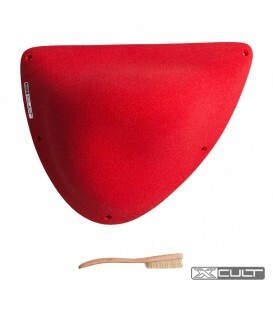 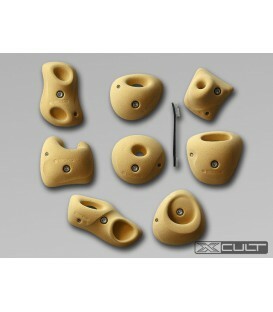 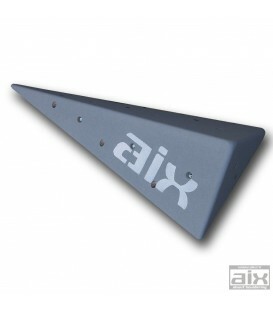 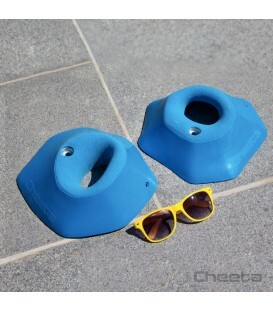 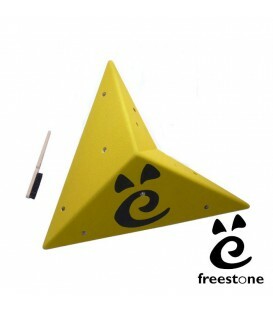 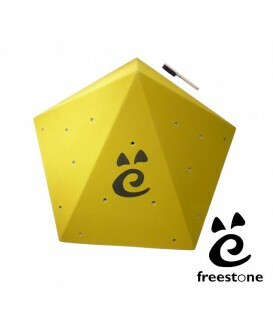 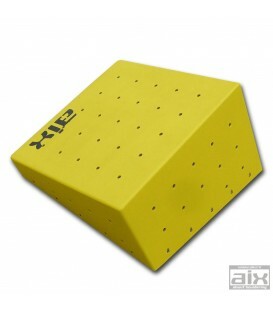 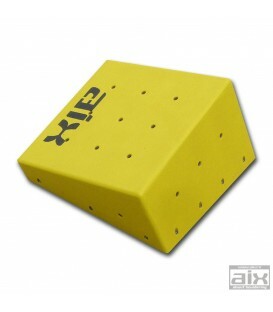 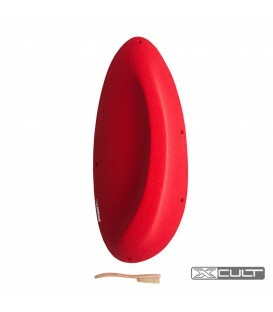 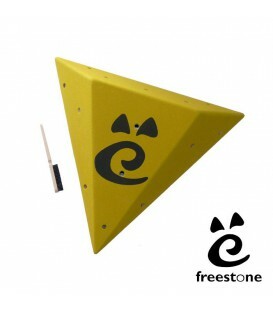 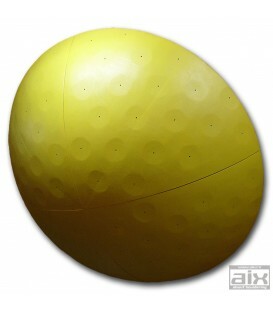 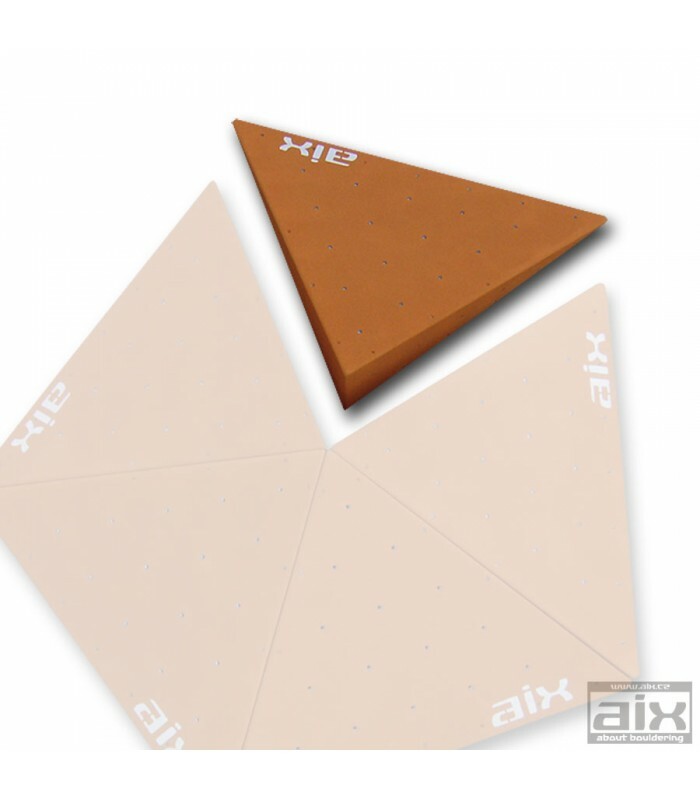 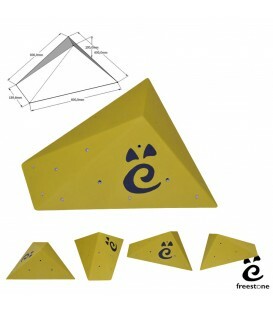 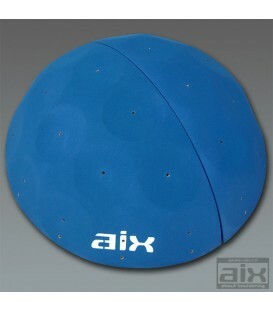 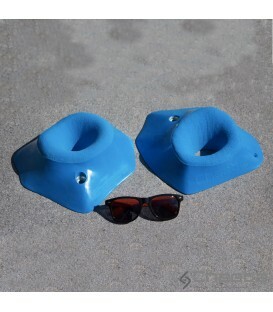 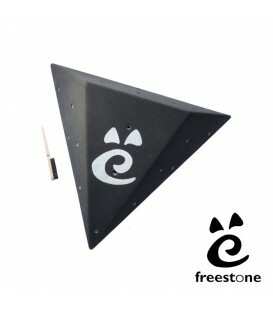 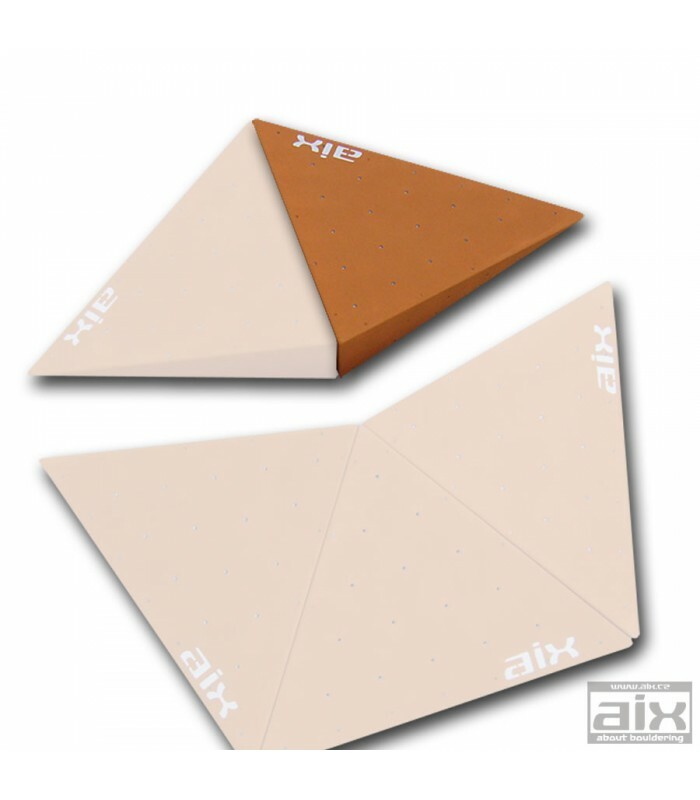 The advantage of volumes are their variability of use for bouldering and also for climbing with rope. 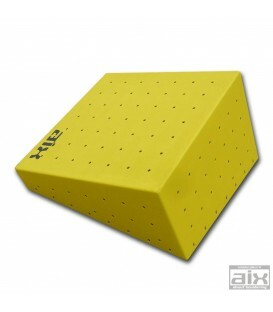 Volume has pre-placed t-nuts in it to which 32 holds can be attached.